“A mischievously funny, keenly incisive, and mind-bending outlaw tale” (Booklist, starred review) about love and obsession, loyalty and betrayal, race and identity, and compulsion and free will. Writer Sandy Mulligan is in trouble. To escape his turbulent private life and the scandal that’s maimed his public reputation, he’s retreated from Brooklyn to a quiet Michigan town to finish his long-overdue novel. There, he becomes fascinated by John Salteau, a native Ojibway storyteller who regularly appears at the local library. But Salteau is not what he appears to be—a fact suspected by Kat Danhoff, an ambitious Chicago reporter who arrives to investigate a theft from a local Indian-run casino. Salteau’s possible role in the crime could be the key to the biggest story of her stalled career. Bored, emotionally careless, and sexually reckless, Kat’s sudden appearance in town immediately attracts a restive Sandy. All three are fugitives of one kind or another. And in their growing involvement, each becomes a pawn in the others’ games—all of them just one mistake from losing everything. 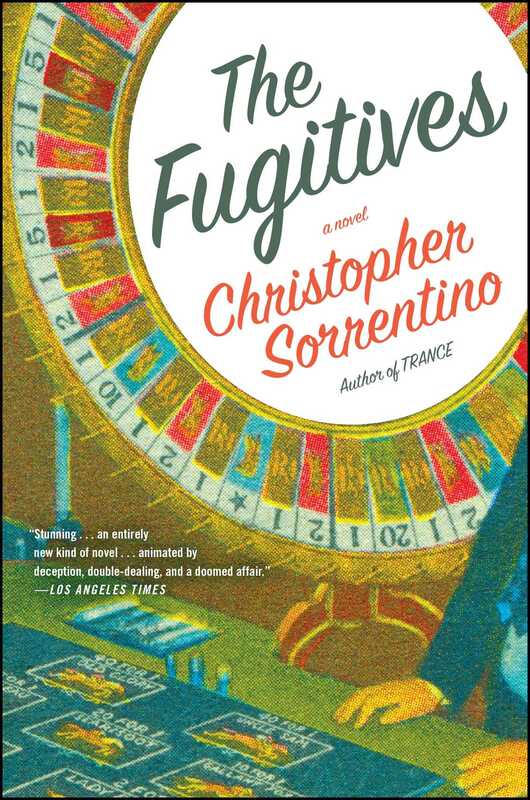 Moving, funny, tense, and mysterious, The Fugitives is at once a love story, a ghost story, and a crime thriller. It is also a cautionary tale of twenty-first century American life—a meditation on the meaning of identity, on the role storytelling plays in our understanding of ourselves and each other, and on the difficulty of making genuine connections in a world that’s connected in almost every way. Exuberantly satirical, darkly enigmatic, and completely unforgettable, The Fugitives is “an entirely new kind of novel with exceptional interior monologues animated by deception, double-dealing, and a doomed affair that lends an air of existential dread to the story” (Los Angeles Times). STORY time is at eleven, the preschoolers and their mothers, mostly the mothers; the occasional father looking faintly uncomfortable with his kid, as if he’d been asked to monitor an unfamiliar piece of equipment; sometimes babysitters, unhurried grandpas, older siblings icy with shame. Tuesday and Thursday mornings they arrive and cluster around the bronze bear, its paws, snout, and ears worn smooth and dull, to listen. Before John Salteau began, a few months ago, to tell stories twice each week at the library (“Tricksters and Sleeping Bears: Native Tales from Northwestern Michigan with John Salteau”), they had a woman whose pedantic cheer fooled none of the kids: sung and shouted drills involving colors, numbers, the names of household objects. She drove up once a week from Frankfort with a steel-string guitar and a cinnamon-colored puppet named Ginger and played to a half-empty room every time. Now she’s gone. Salteau invariably fills the place. I began to sit in the library some mornings because I like the stripped tone; the clean isolation of the footfalls and the scraping of chairs against the floor, the stillness in which other people’s most perfectly ingrained habits are encased and displayed. This one wets his index finger. This one moves her lips. Nose pickers and foot tappers. Plus it’s a nice place to come to rest in the middle of my morning circuit, when the work is done or (more likely, these days) stalled and I leave home to walk the arboreal streets (my house is between Oak and Maple; nearby are Cedar, Pine, Locust, Elmwood) or wander onto the nearby grounds of the former lunatic asylum, now a curiously mournful park. If I arrive at the library before eleven, I’ll wait. There’s no other feeling like that of the restraint in a quiet room filled with people. Conditional unity, breached under the duress of petty bodily betrayals, farts and sneezes. The heads come up, mildly curious, then fall once more to the printed lines. One time, a middle-aged man, in a suit and tie, sat energetically turning the pages of the Record-Eagle, as if he were scanning it for a particular item: he was gently urged from the premises by a library employee who bent close to whisper to him, laying a quieting finger on the pages of newsprint. The man left, striding through a watchful silence, his newspaper abandoned on the table. I haven’t listened to an adult tell stories to an audience of children since I was a child myself, but I’m not surprised to find that I’m calmed and reassured by it, the voice an ember glowing and changing in the midst of a muted stillness that might itself ignite at any moment. The boundaries inherent in performance are there, but there’s also an ambiguity, an offhand sense of collaboration. That regular glimpse of the inventive tension latent in those quiet, crowded spaces, when the voice begins speaking, and especially when it pauses and the room falls into its willed hush once again, is one part of what holds me in my seat in the children’s library (rather, “Youth Services Department”) twice a week. The other part remains a mystery to me. DYLAN FECKER TOLD me on the phone, “A kids’ library? What it sounds like to me is that you miss going out. He misses going out.” I’m a writer, and Dylan is my agent. To him, a panicked social life is the sole bellwether of mental health. In confusion he finds relief. Only his phone knows what he’s scheduled to do next. Without it, he might starve, freeze, wander mistakenly onto public transportation. “When I say ‘going out,’ you know what I mean. And you miss it. Why can’t you just say that? Why can’t he just say what he means for once? Quicker and less confusingly? These are the big questions people want answers to. People are always waiting for him to say what he means, and then he says it, and Monte and I have to clarify.” Monte is my editor. Dylan had allowed his sense of romance to persuade him that there was something valuable, even narratively inevitable, in my leaving New York to come to northern Michigan and finish a book. It seemed right to him, right and just, that a gifted person should flee from the distractions and temptations of a big city, flee from the difficulties of a complicated personal life, to make art in self-imposed exile, working from the provinces. If some artists court outrage, others court solitude: it was a chunk of wisdom as simple as a popcorn date at the multiplex. He expected searingly brilliant, expiatory pages to flow one way, direct from my computer to his office on Mercer Street. That was the agreement, as far as he was concerned. That, he claimed, was what had kept him from going to the airport and wrestling me off the plane personally. It wouldn’t have helped at all to explain to him that I didn’t feel purposeful, I felt dangerously adrift; that escape wasn’t a strategic writerly ploy but simply and only escape. For Dylan there was no such thing as flight. He stayed, he survived, he thrived. He’d had some successes; I was one of them; I was letting him down. This much was clear. The fierce pages weren’t erupting from my printer, weren’t springing to life on his 24-inch active matrix display as unencrypted digital attachments. Exile and cunning he would accept, silence was another story. 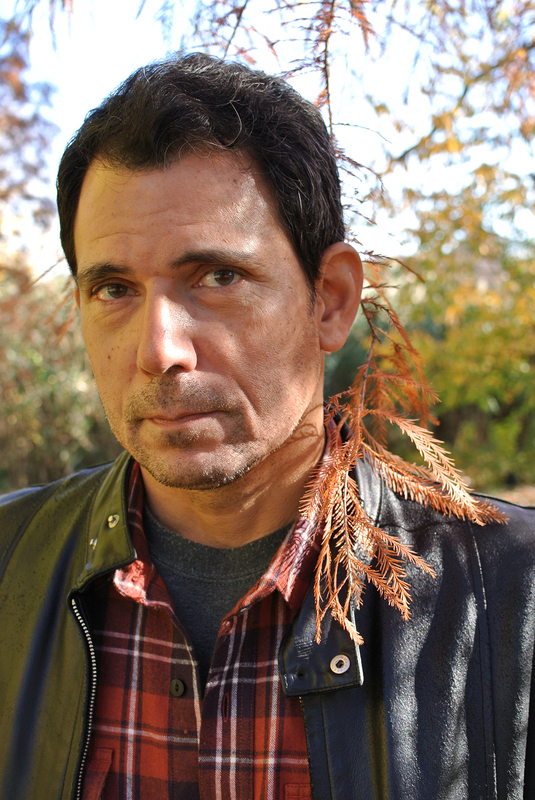 Christopher Sorrentino is the author of five books, including the National Book Award Finalist Trance. His work has appeared in Esquire, Granta, Harper's, The New York Times, Tin House, and many other publications. He lives in New York City.